FRANKLIN BOROUGH, NJ – Former New Jersey State Senator Robert E. Littell (R-24) has passed away after a long illness. He was 78. Fondly remembered by many as “Bob,” the name he asked those who knew him to refer to him as, rather than a political title, former colleagues and friends have remembered the late former senator with words of admiration. Assemblyman Parker Space (R-24) also released a statement. Sussex County Freeholder Phil Crabb posted on Twitter this morning a similar message mixed with sadness and admiration. Littell was born Jan. 1, 1936 in Orange, NJ. to Senator Alfred B. Littell and Dorothy Kershner. He reigns as one of the longest serving New Jersey State Legislators. Littell received his education at Franklin High School and Princeton’s Hun School. He was a member of the Marine Corps in the Korean War from 1953 through 1956, and was later involved with American Legion Post 132. Littell served as on the Franklin Borough Council between 1963 and 1965. 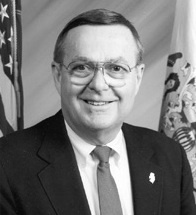 Littell was a New Jersey Assemblyman from 1968 through 1992, having served in both the 15th and 24th Legilative Districts. He began his service to the New Jersey State Senate beginning in 1992, and served until 2008. His daughter Alison Littell McHose began serving as Assemblywoman in the same legislative district as her father beginning in 2003. While in the senate, Littell was the Budget and Appropriations Chair and later the Senate Budget Officer. In terms of committees, he was involved with: Budget and Appropriations, Labor, Legislative Services, and Intergovernmental Relations. In 1976, he served as a delegate for the Republican National Convention. While involved in the legislature, Littell championed legislation for the agricultural community in Sussex County and statewide, with the Littell family having owned a Sussex County farm in Sparta for more than 200 years. In 2001 he was a Distinguished award Recipient from the State of New Jersey Department of Agriculture. Among his accolades for agriculture were: the Open Space Commission, Farmland Assessment Act Amendments, Agriculture Economy Recovery and Development Initiative, Emergency Disaster Relief Act of 1999, the Farmland Preservation Program, and the New Jersey Museum of Agriculture. He received an honorary doctorate from the New Jersey Institute of Technology. Littell also served as a trustee for Centenary College and received an honorary law doctorate from that institution. Locally, Littell was the President of Littell Gas Service and Littell’s Television and Appliance Center, and was part of the Sussex County Peace Office Association. In Franklin, Littell was an exempt member of the Franklin Fire Department and was involved with Franklin’s Recreation Commission. He was additionally a fundraiser for the American Cancer Society and dedicated his time to the March of Dimes. At the end of 2013, the Sussex County Viaduct Bridge in Franklin was dedicated in Littell’s honor. Littell leaves behind wife Virginia (Ginnie) Littell (Ginnie Littell has served as chair of the New Jersey Republican Committee), daughter Alison Littell McHose and her family, and son Luke Littell and his family. 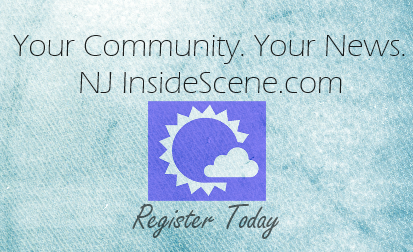 Editor’s Note: NJ Inside Scene offers deepest condolences to the Littell and McHose families, and friends of Senator Robert Littell.